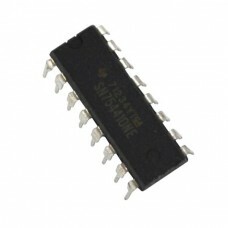 The SN754410 Quad Half H-Bridge 1A Motor Driver IC is an upgrade for the popular L293 motor driver chips. It is pin for pin compatible with the L293 and features a higher 1A peak current rating. One chip can be used to drive two DC motors or one bipolar stepper motor. It operates at 5V TTL logic levels and can drive motors from 4.5V to 36V. 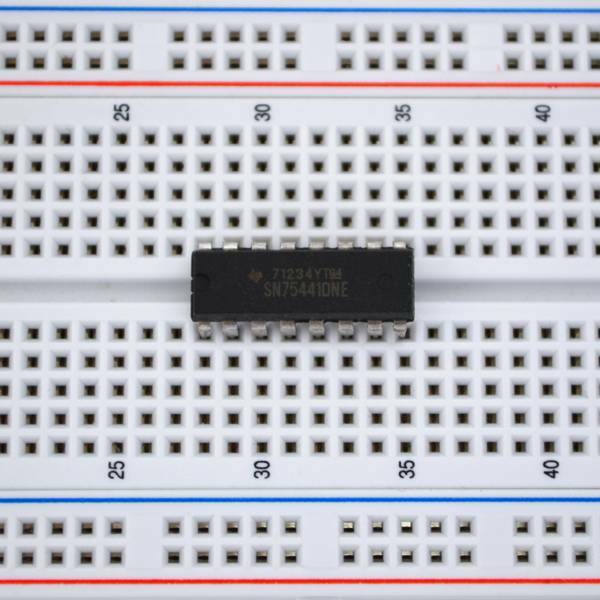 This chip comes in a convenient 16 pin breadboard friendly DIP package and is great for building your own robot motor controller from scratch.